The problem with this isn’t that a relative moderate can’t win the Republican nomination. In fact, it is rarely the case that the relative moderate hasn’t won. Jeb Bush’s mistake here is in thinking that a candidate can run what the article calls “an unapologetically pragmatic bid” and still prevail. Most conservative voters are used to being taken for granted during the general election, and they’re usually willing to play along provided that they think that the nominee shares their priorities. However, the would-be nominee has to convince them first that he is mostly on their side on major issues. If Jeb Bush thinks there are a lot of Republican voters hungering for bland “centrism” with a dynastic name attached to it, he is in for an unpleasant surprise. 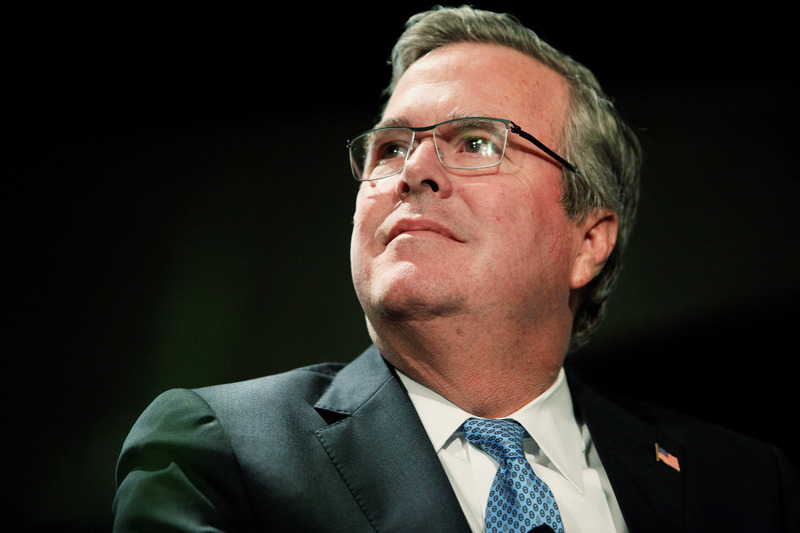 Of all the 2016 Republican names out there, Jeb Bush is uniquely positioned to make those connections with minority communities, particularly Latinos, while offering as conservative a policy agenda as can be imagined. He doesn’t have to make a production out of liking Hispanics—he for all intents and purposes is Hispanic. At the same time, his Florida record shows that he actually was the “severely conservative governor” that Mitt Romney told people he was. And yet, because of the Republican activist base’s fixation with Common Core and illegal immigration, Jeb could find himself such a pariah in the early primary states that all the money and all the organization in the world cannot overcome it. I wouldn’t worry too much about Jeb Bush. This is a vanity run. This is going nowhere. He will be laughed out of the race by South Carolina. Maybe Bush’s idea is that he can sneak through the primaries as the only moderate (or whatever he is) in a crowded field of conservatives. Well, why not? Look how well it worked for Jon Huntsman. Republicans know they are against Obama’s deportation relief, yet continue to dodge on what should be done with all these people instead. Should we deport them all? Republicanswon’tsay. Legalize them? Perhaps, but only at some unspecified point later, if we meet unspecified conditions. Which means they are farther than ever from engaging this issue’s core moral and policy dilemmas. A Bush candidacy would be interesting: Even as he’d be relentlessly criticized for selling out to Obama’s “amnesty,” perhaps the resulting debate might challenge that GOP non-engagement.